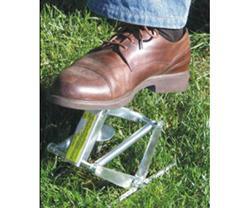 The Easy Mole TrapTN is an amazing product to eliminate pesky moles from lawns and gardens. Years of proven performance on lawns, gardens and golf courses all over the U.S.
Our mole trap is the most effective mole control device available. It is easy to use and is designed for safe operation where tunneling moles create havoc. No more silly, ineffective methods such as running a hose into the tunnel and turning a lawn into a rice paddy. Or, gassing them with fumes from your automobile exhaust pipe.